Here at Rivington Mortgages, we specialise in securing mortgages for our clients at competitive rates. Whether you’re thinking of purchasing your first house, or are curious to see if you can save money on your existing mortgage, our team is ready to help you find the best solution. Our qualified mortgage advisor has decades of experience in the mortgage industry and is happy to answer all your questions. If you are searching for a mortgage advisor in Westhoughton but aren’t sure where to begin, we can help. Call 01204 699002 to speak to one of our qualified mortgage advisors. Getting on the property ladder can be a struggle. If you’re looking for your first house in Westhoughton, then we can help get things rolling. We aim to make your first-time buying experience as stress-free as possible by giving you honest mortgage advice and assistance. 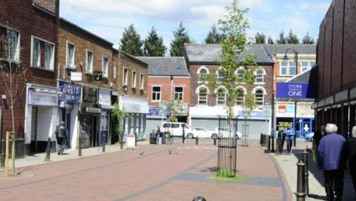 Westhoughton has a current population of 24,974 and has easy access to some of the major towns of the Northwest. If you’re looking for a quiet place to buy your first home that’s packed with historic relevance, then Westhoughton is the perfect area. The most common property sold in the past year was semi-detached houses – for an average of £152,909. Terraced properties sold for an average price of £121,567, while detached properties sold for £256,443. There are plenty of affordable semi-detached houses located within walking distance of local amenities – perfect for first-time buyers! If picturesque countryside, a friendly populous, and a great location near Manchester grabs your interest, give our professional team a call today. What are you waiting for? Not only do we offer reliable and honest mortgage advice, but we also offer a range of solutions at competitive rates. If you want to turn first-time buying experience into a more pleasant one, call us now on 01204 699002. If you need help finding a mortgage for your first home in Darwen, then we can help. With our experienced mortgage provider just a phone call away, what are you waiting for? To turn your first time buying experience into a more pleasant one, call us now on 01204 699002. With each year that passes, buying properties to let is gaining more and more popularity. Not only can you earn a monthly income by renting out the property, but your property can also increase in value. If you’re eligible for a buy to let mortgage and believe it might be for you, contact us now on 01204 699002 to speak to our professional mortgage advisor. It’s not just first-time buyers we assist! If you’re hoping to save money and currently own a home in Westhoughton, then you could reduce your monthly repayments by remortgaging your home. In the past, people would only remortgage their houses when they needed to raise capital during difficult times. Nowadays, remortgaging your house is a great way to potentially save some money. When considering a mortgage lender it’s best to look around, as you may receive a lower introductory rate – which many new customers tend to receive. By remortgaging your house, you are essentially ending your current mortgage and starting a new one with new terms. This can often end up saving you money and reducing your monthly mortgage payments. To see if you can save money by remortgaging your home, contact us today on 01204 699002. We pride ourselves on our excellent customer service, and we’re ecstatic to have won the “Best In” category at the Best of Bolton awards – where we were voted the best mortgage advisor and broker in the Bolton area. But that’s not all, in fact, we’re one of the top-rated mortgage advisors nationally! Known for our excellent customer service and top-notch advice, we’ve helped thousands of clients over the years. To see why we’re the best, call us today now on 01204 699002 to speak to one of our experienced mortgage advisors.